The group has a new treasurer following the resignation of Shane Lal. She is Dr. Sally Xiong, a postdoctoral research fellow at Auckland University. Sally’s research interests lie in natural products structure and biochemical efficacy in humans. Both the Auckland Zoo and an Australian Zoo took steps in recent months to ban products with palm oil which included Cadbury’s chocolate containing vegetable fat (presumed to be palm oil). However on the 17th August 2009 it was reported that Cadbury had bowed to consumer pressure and stopped using palm oil in its dairy milk chocolate. Cadbury New Zealand managing director Matthew Oldham said he was “really sorry” and that the decision was in direct response to consumer feedback, including hundreds of letters and emails. Isn’t it good to see brand leaders moving quickly and decisively to allay consumer concerns? The confectionery giant caused consumer protests when it was revealed it had substituted some cocoa butter with vegetable fat including palm oil. The addition of “cocoa-butter substitutes” (CBS) in chocolate at a level of 5% is permitted in Australasia and in the EU. Palm oil fractions are only one of several “hard butters” permitted for this purpose. The CBS have special melting properties and are compatible with cocoa butter. Three quarters of all palm oil comes from Malaysia and Indonesia where rainforests – housing the Borneo and Sumatran orangutans and other flora and fauna – are being destroyed. Palm oil is a contentious ingredient with reports blaming its plantations for huge contributions to global warming and intensive habitat destruction. Much of the oil comes from land where existing rainforest has been slashed and burned to make way for palm oil plantations. However, to put the issue in context, chocolate uses 5% of the fat as palm oil fraction. This would amount to a worldwide usage in this application of 2000 tonne maximum. The world trade in oils and fats is 127 million tonne and palm oil total production is 40 million tonne. Also to put the issue in context, NZ imported 1 million tonne of palm kernel meal for cattle feed. A great deal of the expansion of the palm oil production is for biodiesel not food oil. The march of unreason goes on unchecked. Fish oil supplements – you probably couldn’t find three words less likely to stir the imagination, yet Britain has fallen for them hook, line and sinker. They spend an extraordinary £60million a year on fish oil capsules and syrups – around 20 per cent of the total spent on all supplements. We do not have an equivalent figure for omega-3 supplement consumption in NZ but judging from the proliferation of brands on sale in health shops, pharmacies and supermarkets it is probably proportional to the UK on a per capita basis. So keen are they on the stuff that manufacturers now add fish oils to all kinds of food – even bread and eggs – confident this will help them sell. Why? Because of the flood of research suggesting fish oils are the ultimate health elixir, good for the brain, bones and heart, and protective against cancer, eye problems, and even back pain. Just last week, a team of doctors reporting in the Journal of the America College of Cardiology suggested that everyone should take omega-3 for their heart. In a review of previous research, they found that patients with heart problems who took fish oils had a 30 per cent lower risk of dying early. The best sources of long chain omega-3s are salmon and tuna (but fresh, not tinned, tuna). They are also found in tinned sardines and kippers. The UK government’s Food Standards Agency recommends eating two portions of fish a week; including one of oily fish (one portion is about 140g of fish – or one tuna steak). Most Britons eat only a third of a portion of fish a week. By far the strongest evidence in favour of fish oils is for heart health. The latest study from the U.S. provides compelling evidence that they help to protect against repeat heart attacks in people with established heart disease. The new study also seems to contradict one three years ago in the British Medical Journal which suggested there is little evidence that fish oils cut the risk of stroke, cancer or heart disease. Some researchers have suggested that low intake of omega-3 during pregnancy can result in children with more behavioural problems such as ADHD, and researchers at the University of Tel Aviv found evidence that too little led to depression. Although fish oils are widely taken for joint pain relief, the scientific data on this particular health effect is mixed. A study by the prestigious Harvard Medical School found omega-3s helped with rheumatoid arthritis. They effectively ‘put the brakes on’ the overactive immune response that causes the disease, the researchers reported. Many consumers including this correspondent take omega-3 for osteoarthritis, and research appears to back this up. Professor Bruce Caterson, at Cardiff University, has found that the supplements ‘turn off inflammatory responses’ that cause much of the inflammation. This, in turn, helps prevent the destruction of cartilage that leads to bones rubbing together and the result of osteoarthritis. If you decide a soft gel capsule of fish oil is your option or a boost to the amount from fresh fish, then choose one with enough EPA or DHA, as many supplements have so little of either they are a waste of money. Most of them are the so-called 18/12 oils (18%EPA, 12%DHA) with typically 300mg total Omega-3 per 1000mg capsule. Consumer magazine and this column have pointed out that some supplements have high oxidation levels and cause “repeating”, reflux or fish burps – not very pleasant. Look for a supplement with at least 500 to 600mg of EPA/ DHA per capsule and one that does not leave an oily fish aftertaste. At our recent conference last November Professor Philip Calder demonstrated that one should take at least 1000mg of omega-3 per day for efficacy. Recent articles in the UK produced the usual correspondence from people keen to join the debate in whether omega-3 really works. This reviewer loved the following letter from an erudite correspondent in good old England showing their eccentricity when it comes to pets especially this unusual pet called a “hampster”. The episode showing Dale Coker emulating George Clooney in “The Perfect Storm” off the coast of Tutakaka was a very interesting insight into the hard life of our fishermen. This reviewer had a 7 second vignette commenting on omega-3 in fish. The programme resulted in a 100 percent increase in the membership of the Oils and Fats Group (yeah right!). WEB based sites see a deluge of mail from persons concerned about developing cancer from frying with olive oil. It is unknown where this common food myth comes from but this sort of misinformation seems to spread like a computer virus. Perhaps it was the finding of contaminants in Spanish refined olive oil (fraudulent oil) in early 2001 which prompted the concerns. Or perhaps it is based on the production of certain chemicals in oils either in the natural state or when they are severely heat abused. If we review the chemical basis for these myths we often see a kernel of rationality but the facts get blown out of all proportion by people who cannot apply logic or scientific inspection to chemical analyses. Polycyclic aromatic hydrocarbons are a group of chemicals which are formed when petroleum, petroleum products, coal, wood, cellulose, corn, or oil are burned. There are over 100 PAHs which have been studied. During oxidation and detoxification in the liver they are thought to form substances which damage DNA, starting a chain of events which could lead to cancer. A few of them have been classified by the EPA and The Department of Health and Human Services as carcinogenic to animals in studies and probably carcinogenic to humans. A person’s exposure at home to PAHs would likely be through tobacco smoke, wood smoke, vehicle exhausts, asphalt roads, coal, coal tar, wildfires, agricultural burning, waste incineration, creosote-treated wood products, cereals, grains, flour, bread, vegetables, fruits, meat, processed or pickled foods. Twenty years ago there was a food scare when PAHs were first being researched. They were found in meat and other foods which had been cooked at high temperatures, such as grilling and charring. The American Institute for Cancer Research recommends avoiding charring meat when grilling, pre-marinade, which somehow minimizes PAH formation, and minimizing the amount of grilled meats consumed. (Grilled vegetables or fruit do not form PAHs). Many foods naturally contain small quantities of PAHs. Olive oil, like other vegetable cooking oils, has been found to contain minute amounts of up to 17 PAHs such as benzanthracene and chrysene. 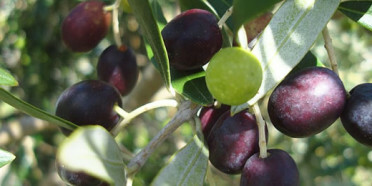 Unripe olives tended to have more than ripe olives. Burning any cooking oil can increase the amounts of PAHs. Oil of any kind which has been repeatedly heated to its smoking point will lose its natural antioxidants and begin to accumulate free radicals and other cancer causing substances. Whether this has actually caused cancer in humans has never been proven. Commercial industrial kitchens which fry foods repeatedly would be where this sort of thing might happen. It is unlikely that you would repeatedly fry at continuous high temperatures with the same oil at home. In commercial operations the oil is examined regularly with a rancidity test and discarded before it gets to a dangerous stage. Olive oil is typically not used in commercial kitchens as it is much too expensive. Cheaper oils like canola, corn or peanut oil are used instead. Extra virgin olive oil has more natural antioxidants which soak up free radicals. So heating it would produce fewer free radicals than a lower grade olive oil. It is most unlikely that in home use olive oil or other cooking oils would be a significant source of PAHs. Sometimes when people hear cancer, they panic and forget that we are surrounded by possible carcinogens, ranging from nearly every food we eat to sunlight. Although a substance we are exposed to is capable of causing cancer, the probability that this actually happens may be extremely small. Exposure to second hand cigarette smoke or going outside without sun block is probably thousands of times more likely to cause cancer than burning your cooking oil. Deep fat frying is encountered these days in commercial outlets rather than the home. A lot of research work has been carried out over the years on the nutritional and toxicological significance of heat abused frying fats. The compounds implicated were cyclic monomers and dimmers. Despite many hours of high temperatures, the fats and oils showed very few deleterious effects in animal models. The major exceptions were from oils with high levels of polyunsaturated fatty acids such as soybean oil and sunflower oil. Olive oil was noted for its stability (because it is monounsaturated) and the presence of natural antioxidants. Research has repeatedly shown extra virgin olive oil contains significantly more natural antioxidants than refined virgin olive oil and pomace oil. Because in vitro studies have shown the antioxidant activity of hydroxytyrosol and oleuropein is dose dependent, the amount of olive oil consumed is likely to affect its chemo protective and cardio protective effects. Many years ago in Abels’ laboratories, trial experiments were carried out collecting the volatiles from various oils and fats at typical frying conditions. There were huge differences between stable frying oils and unsaturated oils such as sunflower and soybean oil. Linolenic acid should be less than 3.0% in frying oil and preferably less than 1.0%. The urban myth that heating Extra Virgin olive oil when cooking, can cause cancer is not founded on scientific fact. It is highly unlikely that domestic cooking oils cause any nutritional or toxicological problems. Olive oil is considered a very stable oil due to its high monounsaturated fatty acid content and composition of natural antioxidants. Deep frying is not nutritionally advisable due to the high calorific content of deep fried foods. We have remaining stock of these books and are offering them to Educational Institutions such as schools, technical colleges or universities for the give away price of $10 plus packaging and postage.